In the last couple weeks I’ve seen the re-emergence of the use of +/- in discussions around the sub. While +/- isn’t the worst stat to use in the world, I thought I’d offer an explanation as to why it should be, and frankly is, being used less and less every day in hockey discussions. As well, I figured I’d provide a small explanation of alternatives that are being used for everything from possession to the difficulty of saves made during a game. “But Shweet, you idiot, we know advanced stats and how they are applied to the modern game”. You're right, this is as much for me as anything else (I want to make sure I'm not messing everything up), but at least this way there’s a list of sites that can be useful in arguments with people who may not know stats as well, or are completely misinterpreting them (I may be included in that group). Some are very well known, others are less so, but all are fairly useful, although sometimes for specific things. First off, why is +/- not a great stat to use? Too many variables is the primary reason. +/- is very dependent on the play of all those on the ice, not just the single player who's stat you may be using to compare their play to another's. “But shweet, wouldn’t it be good then”. Not really. Why? Because it also ignores a whole lot of the contextual data that changes the picture quite a bit. +/- ignores zone starts, time on ice, matchups, etc. If a player steps on the ice and his team gets scored on, even if he’s not involved in the play, he gets a -1. A player can have absolutely no impact on a play, positive or negative, but they gain or suffer because of a goal for or against. It can also be heavily impacted by the game you play. If we look at the Wagon line from this past season, Gordon had a -5, Hendricks had a -14 and Klinkhammer had a -7. That’s on a line where all the players played together for most of the season (or at least Gordon and Hendricks did). What about the top scoring players on the team? Ebs, despite leading the team with 63 points, was -16, Nuge, the best two way player on the team, had a -12 and Benoit Pouliot? A -1. There’s no real consistency for point production, role and +/-, and using it to compare players becomes rather pointless. +/- variation can depend heavily on the players’ role on the team, the minutes they play, the system the coach plays, the quality of goaltending on the team, the quality of linemates, even just the luck factor of stepping out onto the ice or getting off on a line change in time. Not only that, but +/- is not at all affected by odd man play, so any goal shorthanded or on the powerplay has no affect on your +/-. You could be a powerplay specialist and put up fantastic numbers but still have a terrible +/- score. +/- doesn’t give a good indication of a players’ contributions to the team as it evaluates every player on the ice simultaneously rather than singling out a player you want to compare. Can you use it to compare year by year for a team as a whole? Certainly. But then why not compare overall goals per game, goals in different periods and situations, against stronger or weaker teams, and stats of that nature? Corsi: Corsi is the big one you likely heard a lot about lately. Corsi, along with Fenwick, are used as possession metrics, that is to say as statistics of how well a player, or team, is possessing the puck. It does so by measuring (shots on goal + shots blocked + shots missed) – (shots on goal against + shots blocked by teammates or the player + shots against missed). Fenwick: Same thing as Corsi, but eliminates shots blocked, so it’s just (shots + shots missed) – (shots against + shots against missed). Corsi and Fenwick for %: Gives us a ratio of corsi or fenwick for vs. corsi or fenwick against. The formula goes (100 x FF) / (FF+ FA). The same formula is used, but replaced with CF/CA when using Corsi. Used more often, if possible, than straight up Corsi for comparing players. PDO: PDO is a stat that attempts to compensate for, due to a lack of a better word, luck. An average PDO should be 1.000. In theory, PDO’s will increase or decrease to around that point. Teams are unlikely to maintain a PDO above 1.000, or below 1.000 for extended periods of time. Formula is quite simply sv%+sh%. Adjusted sv%: Adjusted sv% is a bit finicky. I don’t personally know a whole lot about it. Basically what it does is attempts to compensate a goaltender’s sv% to accurately depict the difficulty of the shots they are facing. In trying to find information about it though, I found two different sources, both of which calculated the statistic a little different. Here's the one from broadstreet hockey, and the one from Canucks Army. Both use slightly different methods. I'm a little more partial to the Canucks Army version as it does take into account the different shot distances and, in theory, more range of difficulties, but both have their strengths and weaknesses. Edit: Here's a Travis Yost piece from TSN about Adjusted sv% as well. HERO: The Horizontal Evaluative Rankings Optic gives a visualization to compare defenseman performance, attempting to show shot suppression and defensive effectiveness, and then comparing it to their peers. It uses Points/60mintues played, Corsi For/60 minutes, and GF/60 minutes (with the variations of each stat). oz%: Ratio of offensive zone starts. Higher the number, the more offensive zone starts a player gets. Gives an indication of the difficult of minutes the player may get. While oz% by itself isn't an indicator, typically players with higher oz% are more offensively driven (especially when comparing defenceman oz%). This post, as much as anything, is to simply compile a list of the best sites that can be used for advanced stats and contracts. The ones listed are the ones that I’ve been using primarily over the last few months, but I have more than likely forgotten or am completely oblivious to a great deal of other fantastic sites, so by all means please add to the list! Hockeydb: Database for hockey, as the name states. Has everything from player stats to attendance records, best players by #s, draft picks, etc. NHL.com: Contains both stats and enhanced stats. While great for possession metrics, the NHL site is limited in advanced stats to primarily just Corsi and Fenwick (although named SAT and USAT). Stats.hockeyanalysis.com: Useful for all around stats, although best served for use of possession metrics. A more updated/user friendly version of the site can be seen here. Hockey-Reference.com: Has typical, primarily non-advanced stats, but does have sh%. Effective for comparing production in seasons, months or even calendar years with their splits. Splits are also used on NHL.com, however I found them easier to use on this site. Hockey stats.ca: Useful for single game stats analysis and AHL stats. Puck on Net: Probably the best site for pure Corsi and Fenwick comparison by team. Can compare between dates (effective for viewing the Corsi/Fenwick changes between Eakins and Nelson), and the varying Corsi when a team us tied, up 1 or 2, or down 1 or 2. Behind the net: Another good possession metrics site. Also contains shooting metrics and goalie stats. War-on-ice: Probably the best all around site thus far. Can compare nearly any stat you can think of in a tabular or graphical view. Can compare teams, players by position, linemates, etc. Very useful site. Edit: Does have adjusted sv% metric function as well. What formula they use is uncertain at the moment though. Hockey Abstract Fantastic site for player usage charts and graphical PDO. Own The Puck: HERO charts. Sportrac: Useful for contracts of major North American sports. Includes information about NTCs/NMCs, past contracts, expiry dates and whether the player will be an RFA of UFA at the end of their contract. General Fanager: Many are calling it the spiritual replacement to capgeek. I unfortunately didn't get a chance to really use capgeek to its fullest extent, so I'm not sure how accurate that is. Hockey's Cap: Another good contract/cap structure site. Pro Sports Transactions: Has trades made in Baseball, Basketball, Football and Hockey. Probably the best sites for trades I've found thus far. If you made it to the end...thanks! I honestly didn't think this post would get this long. Please let me know if I've stated information incorrectly or think I should add anything for context in here. I know it's a massive wall of text, and for that I apologize. While /u/speedonthis loves his lists, I unfortunately end up going for the less than appealing "wall o' text" format more often than not. I blame my history profs. I'd also like to thank /u/arunatic5 and /u/paul-mccartney for making sure I didn't make myself look like a total idiot while writing this...I hope. This sub needs more submissions like this. There was a post on /r/hockey with a bunch of subreddit stats, and we had the highest number of characters per submission (I think). We do pretty good compared to other subs when it comes to discussion! I didn't mean to imply that we're a bunch of dumb-dumbs. Just most of us. I love the IT Crew. So good. The scene I just linked is in the second episode and is literally the reason I started to love the show. Still probably one of my favourite scenes. That or the entire episode where they go to the theatre and Roy ends up with the handicapped group. Great resource and links compilation. I have to say though that I have no idea what PDO is after reading its description. That being said, thanks for putting in the work. Sorry! I'm rather crappy at explaining stuff. Okay, so let's say you're standing in the hashmarks facing a net with a goalie and you have 100 pucks. There's 3 possibilities (in theory). You either miss the net entirely, the goalie stops the puck, or you score. Let's say the average is 50 goals for 100 shots. You're not necessarily going to get 50 goals, you may get more, or less, but an average (or at least a non-skewed bell curve average) dictates that if you shoot enough pucks, you'll go back towards the mean eventually (50%). You may be higher, or lower, but you'll be around there eventually. It's the same thing with PDO. For PDO, you add sv% and sh%, both of which should average around 100 (or 1.00 if you're using decimals). A team above that likely either has fantastic goaltending, or really, really high team shooting percentages. That stat won't necessarily stay that high, and vice versa for a team below. Since stats are often theoretical, or saying what "should" happen, a team isn't necessarily going to descend or ascend back to 1.00. Like the Oilers from this past season. We had terrible sv%, worst in the league by quite a high margin, but higher sh% under Eakins, so our PDO shouldn't have been terrible...but because our sv% was so low, our PDO got dragged down with it. I think I just repeated myself like 4 times over and I really hope I didn't confuse you further. It's almost guaranteed someone has a better explanation than I do...remind me not be a teacher. Edit: Also, it's my pleasure! I just hope the links are useful to other people as well. I don't think viewing PDO as luck is really the right way to go. The assumption behind that is that every single team is the same; same players, same goaltending, same playing style etc so theoretically they should all perform equally given a large enough sample size. However, this isn't true, it's quite possible that a certain playing style, roster etc. will "peak" at a specific PDO under or over 1 and remain there. If you have a team full of 4th liners and an AHL goalie, your PDO will probably be bad, vice versa with a team of all stars + Price. Hard to imagine that these two teams with large enough sample size will perform equally, or else star players would be useless. I'm not a huge fan of PDO as a stat since without a ton of other context, it can only tell you that a team is either a) really lucky, or b) really good. Which you can get just as well from the standings. To me it's only useful for the outliers. A team with a 0.800 save% and 5% shooting rate has to get better. An NHL team cannot possibly be that bad. On the opposite end, a team with a 0.975 save% and a 20% shooting rate can't keep that up. No team is that good. To be honest, got the "luck" description of the stat from this. That's true, but a high enough sample size, in theory, solves all problems (like you said). Thing is, PDO isn't necessarily useful for evaluating a team, but rather evaluating where at team may go. A team with an abnormally high PDO can be predicted to regress towards the mean...but then again that can also be evaluated by simply looking at the sh% of sv% and seeing how high above the league average it is. So yeah, I'd have to agree that luck isn't really the best way to describe it, but I'd more say it's a predictive stat. The "luck" aspect of PDO comes from looking at small samples relative to larger ones. You'll notice that the lock-out season had the most extreme PDO values (1.032 at the top, 0.965 at the bottom) -- over the course of an 82 game season no team has finished further than 0.03 away from 1. However, in something like a 4-0 shut out a team could potentially have something like a 1.15 PDO. Thus over a smaller sample (say ten games) if a team has a PDO of something like 1.05 we know either their goalies or their shooters are performing at an unsustainable level (and are thus 'lucky'). It isn't really a predictive stat, because you can't predict when the goalies and shooters will start performing better, you just have pretty good evidence that it will eventually. Well, then it's predictive in the sense that you know numbers aren't sustainable.....which can be said a number of stats. Hmm. So realistically then...PDO doesn't have as much as value as it's credited for. Well, on a practical level it isn't terribly useful to know how lucky your team has been. At best, PDO tells you that you've had some exceptional results, and it's pretty hard to plan around that. I wouldn't even say it's a predictive stat. Our PDO was horrible the whole year while logic dictates that it should regress towards 1. The issue is people assume that teams will regress towards 1.0. Why not .9? 1.1? What exactly is too high and too low? Who knows maybe with the personnel/coaching/goaltending that the actual PDO of a team is maybe at 1.05 instead of 1. Typically we're not going to see .800sv% and 1% shooting percentage, most teams have a reasonable PDO not equal to 1, and it's really hard to predict from that point which way they'll trend. Because no team has finished more than 0.03 away from 1 in as far back as I've been able to find, except in the lockout year (when the furthest away was 0.035). While each team probably has a "true" value, that value at most is going to be something like 1.01, while PDO can vary by much more than that on a season by season basis. Continuing your example, our PDO this year was a tied for league worst 0.971, but last year it was 0.991 and the two seasons before that it was above 1. If you expand the sample beyond this season that regression does occur. Maybe not exactly to 1 but certainly closer than 0.971. I wasn't pointing to specific numbers, just a general abstract view. I think you're really understating how important that 0.03 separation is, given the low variance of PDO (which is another reason why I don't find it useful but that's a different convo). In your example above, the 0.971 figure can be take to be our "true" PDO; is there any basis to think that if we used the same roster/coach that we're going to get a significant deviation from that value? If we had a stretch of game where our PDO was say 0.98 (and no other information) we would think that we were unlucky and should perform even better (towards 1) when in reality our true PDO is even lower at 0.971. This is what I was getting at, your PDO to date really doesn't say very much to predict what your PDO in the future may be. Sometimes PDO hold steady around a certain value not equal to 1.0. If you were consistently at 0.03 below league average, sure that would be a problem. But those are the extreme outer markers, not where teams finish with any sort of consistancy. And how exactly are you coming to the conclusion that PDO is low variance? To continue to use us as the example, we've been tied for 30th, 24th, 6th, and 10th in the league for PDO over the past four seasons. This is much greater variance than our positions in the standings (28th, 28th, 24th, 29th). Also, we do have evidence that our 0.971 is a statistical aberration. The first is that teams do strongly correlate near one. Not exactly one, sure, but closer than 0.971. The second is that averaging this season with last season we get 0.981. The rosters aren't exactly the same, but they're as close as you can get in a practical scenario. The third is that most of our PDO loss came from goaltending. Both Scrivens and Fasth posted numbers well below their career averages (even after this season both are at ~0.905 SV%). If we replayed the season and they posted numbers at their career averages we'd already see something like a 0.015 increase in PDO, and that's still bottom of the league goal tending that probably underestimates their true value. I wasn't referring to low variance for a team specific historical trend. I'm talking about the league as a whole from year to year, in general there's a second decimal variation from 1.0. When you say something like 0.99 is very close to 1, well the difference between a 0.99 and 1.01 this year is Florida/Buffalo to playoff teams. Because PDO numbers for each team is not so spread out from 1.0 (numerically), every little decimal counts quite a bit (another reason I don't like this stat). Are you saying that every team with a 0.99 PDO is just unlucky? That they should be playoff teams who only have a PDO slightly above 1 (so numerically they are relatively close)? I don't feel that these "small" jumps in PDO is a result of statistical fluctuation, if that was the case then we should have fluctuated ourselves into a playoff spot once in the last 10 years. Also, we do have evidence that our 0.971 is a statistical aberration. The first is that teams do strongly correlate near one. Not exactly one, sure, but closer than 0.971. The second is that averaging this season with last season we get 0.981. The rosters aren't exactly the same, but they're as close as you can get in a practical scenario. The third is that most of our PDO loss came from goaltending. Both Scrivens and Fasth posted numbers well below their career averages (even after this season both are at ~0.905 SV%). Here's the problem, you're looking at the numbers in a vacuum. If you bring up a Junior team to the NHL, and they post a bad PDO, is that statistical abberration? Do you feel last year's Oiler team underperformed per PDO or did they perform right where they should've been, just that they were that bad. As far as career SV%, I don't feel career to date is an accurate indicator of current ability, nor is SV% an individual stat. You can call it an off year, but our defense certainly didn't help that number, and I don't think even if we played 1000 games that number is going up, which is what PDO suggests. If we replayed the season and they posted numbers at their career averages we'd already see something like a 0.015 increase in PDO, and that's still bottom of the league goal tending that probably underestimates their true value. We can say this for a bunch of guys. If Yak/Hall/Ebs etc. scored a few more goals closer to their career shooting percentages our PDO should go up too. The assumption you have is that our performance was an anomaly because you are using past performance to project future performance when there's so many moving parts. Just because a team had so and so PDO in the past few years doesn't mean anything going forward; extrapolation like that is dangerous. Here's the problem, you're looking at the numbers in a vacuum. If you bring up a Junior team to the NHL, and they post a bad PDO, is that statistical abberration? That is where the value of PDO comes from, you aren't playing junior teams. The base assumption is that the talent is even enough (throughout 30 teams) that players can still bury the chances that they generate and the goalies are talented enough to stop most of the chances. So if a team was to post a high or low PDO they would need to have a talent level a lot higher than the rest of the league. 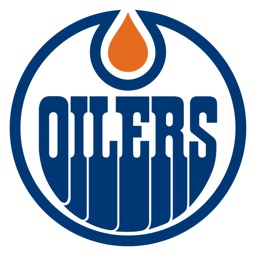 IIRC the last team with a high PDO that was sustained over a large sample size was the 83-88 Oilers. I think we can agree that those teams had a talent level higher in comparison to the rest of the league. Well, I mean again it's a theory. The law of averages dictates that teams will should regress towards 1, and the league should be 1, but not every team will be at 1 and the average may not even necessarily be 1. Just like how a sample size of 30+ should, in theory, mimic a populations' data results in a study, but won't necessarily do so. IceKommander made some good points too. At this point I think I'd leaning towards PDO basically being more or less useless, with the exception of extreme cases as mentioned by jagaloon.